Add event port to a Subsystem block. Select event type for subsystem to execute initialize, reset, or terminate algorithms. 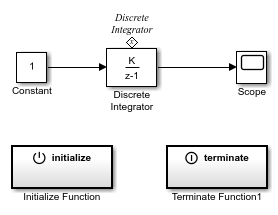 Select to trigger the execution of an Initialize Function block with an initialize event. Select to trigger the execution of a Terminate Function block with a terminate event. 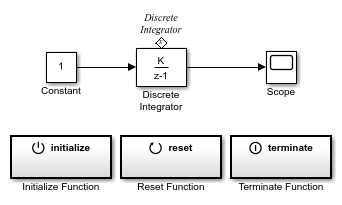 Select to trigger the execution of an Initialize Function block reconfigured as a Reset Function block with a reset event. Default name on the face of the Reset Function block. User entered name displayed on the face of the Reset Function block, and the name of the reset event port on the Model block containing the Reset Function block. When tying the name for a reset function, the auto-completion list provides some suggestions. The list is not complete. To enable this parameter, set the Event parameter to Reset. Activate variant control of subsystem. Selecting this parameter, enables the Variant control and Generate preprocessor conditionals parameters. When you select Enable variant condition parameter, the badge indicates the change. 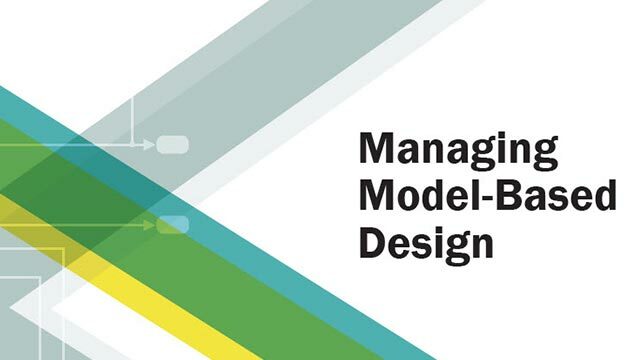 The Reset event port of a Model block can be conditional and propagates the net Variant conditions defined on the corresponding Reset Function block(s) in the referenced model. Initialize and Terminate event ports are always unconditional because they control both the model default and block-specific initialize and terminate events of the referenced model. If you define an Initialize function block in the referenced model, it corresponds to an explicit initialize event. Specify variant control (condition) expression that executes a variant Initialize function, Reset function, or Terminate function block when the expression evaluates to true. A logical (Boolean) expression or a Simulink.Variant object representing a boolean expression. To enable this parameter, select the Enable variant condition parameter. Select if variant choices are enclosed within C preprocessor conditional statements. Does not enclose variant choices within C preprocessor conditional statements. When generating code for an ERT target, encloses variant choices within C preprocessor conditional statements (#if). When you select Generate preprocessor conditionals parameter, the badge indicates the change.